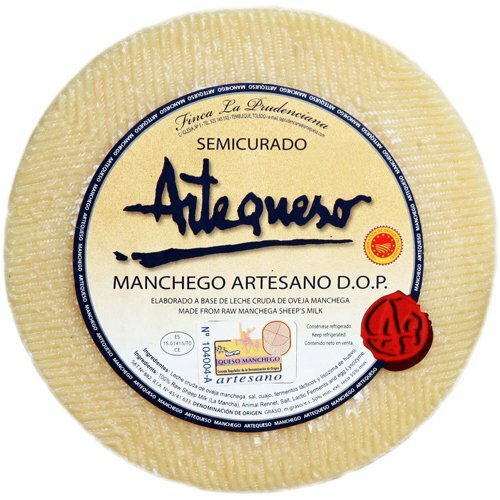 A whole 1kg round of artisan-made top-quality Manchego, with a Denomination of Origin (D.O.) 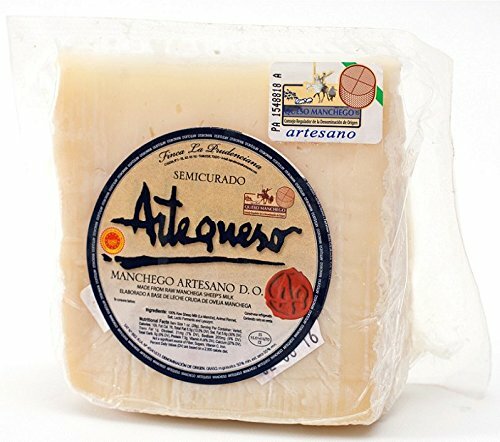 from La Mancha, made from unpasteurised ewes milk and cured for around 4-5 months. 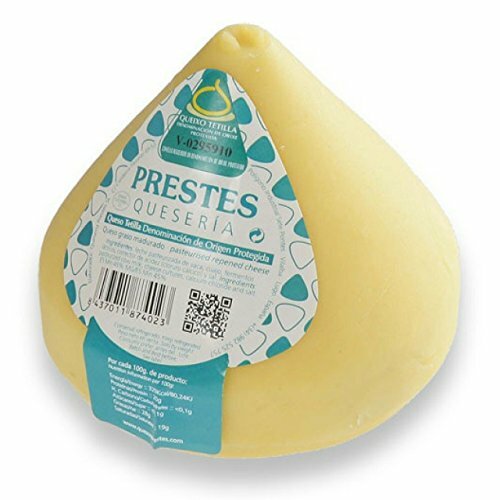 This is a semi-hard cheese, with a rind bearing the basket weave design typical of cheeses from central Spain. 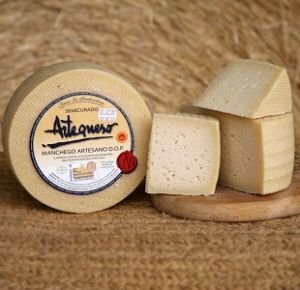 It has a smooth creamy texture, and a mild tanginess combined with a nutty and honeyed flavour. Great with an oaky white Rioja, a Reserva red Rioja or a glass of Amontillado Sherry.